Destined for Victory Episode Reminder Get a sneak-peek into each new show, delivered straight to your inbox! 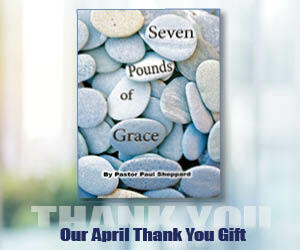 Destined for Victory is the broadcast ministry of Pastor Paul Sheppard. You’ll be informed and inspired by practical, down-to-earth teachings blended with humor. Sermons air each weekday and are available online through our podcast. Paul Earl Sheppard is the founding pastor of Destiny Christian Fellowship in Northern California. An effective communicator of God’s Word, Pastor Paul is widely known for his practical and dynamic teaching style which helps people apply the timeless truths of Scripture to their everyday lives. He also serves as speaker for the radio and online broadcast Destined for Victory. Pastor Paul and his wife, Meredith, were married in 1982. They have two adult children, Alicia and Aaron.